The Year in Review – So much has happened in 2016 that changed our world. The words “What is happening? !” were on many people’s lips. At United Mint Campus, we strongly believe that we need not wait to see what others do. It’s up to us to change the world. 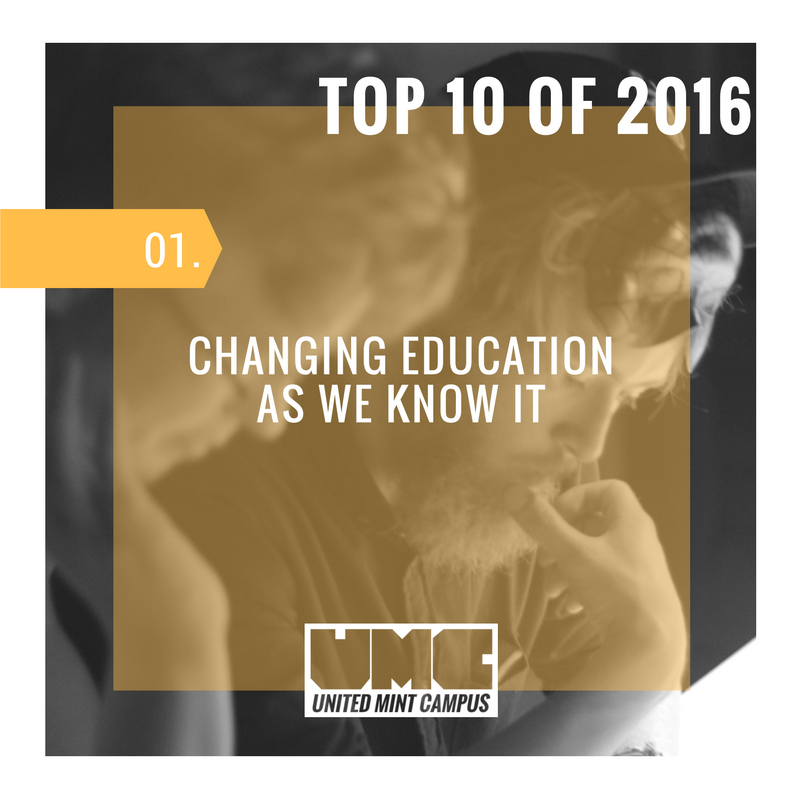 In 2016, we endeavored to create a place where students could find their mission, mint their life, and mint the world around them. 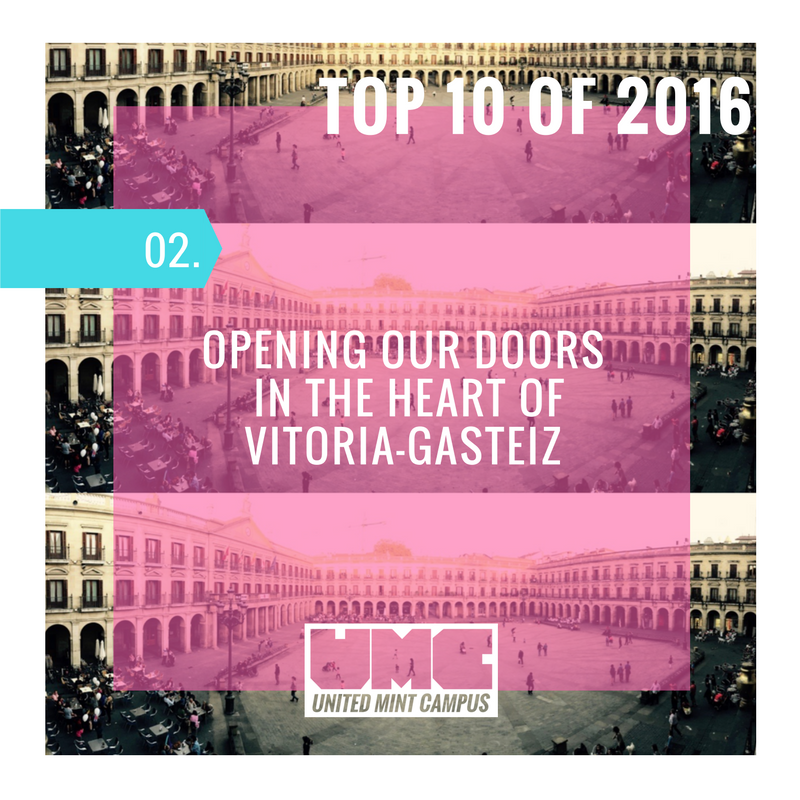 Having welcomed our founding class of students, it was a thrilling year for United Mint Campus and we wanted to share some of our 2016 highlights. UMC students harvest grapes at the 2016 Vendimia. 460 million kilos of grapes were harvested at the 2016 Vendimia. 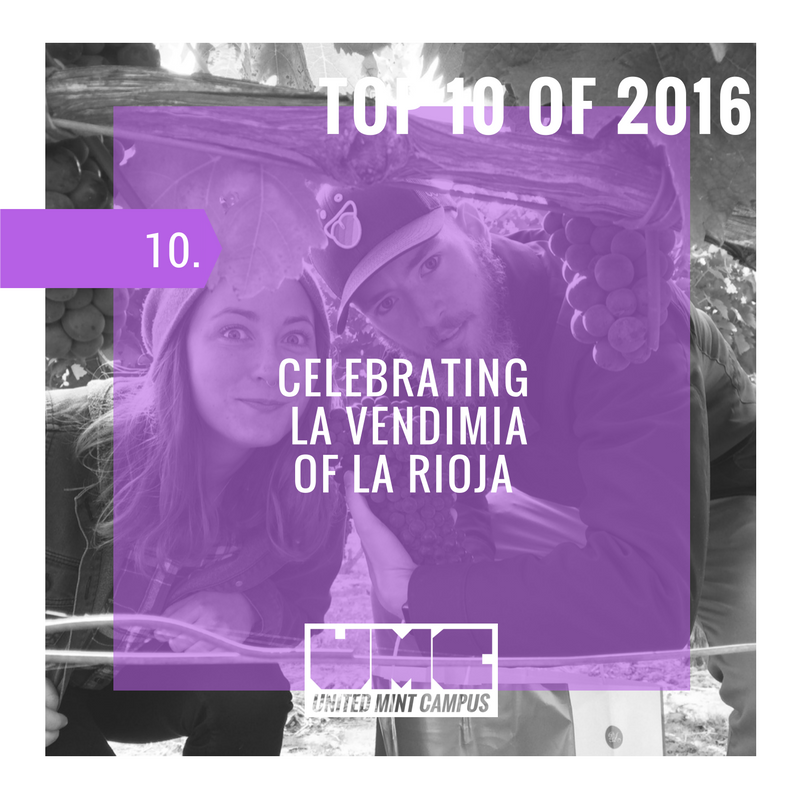 UMC students were hosted for a day of grape harvesting and learning about the wine business at La Rioja Alta. Global Internship Conference host’s Cobey Flynn’s “Internships Today for the Workplace of Tomorrow” seminar. Working with Northeastern University to bring depth to understanding industry’s needs and how to apply this intelligence to the internship experience. Four pools and a spa. Pools, Spas, Gyms, Fitness Classes, Ice-skating Rink, Basketball Courts in a Sports Center that will make you drool even if you’re not an athlete. Training side-by-side with professional athletes and then watching them play Euroleague Basketball (Go Baskonia!) at the Buesa Arena and La Liga soccer (Go Alavés!) at Mendizorroza is a thrilling way to spend your days. It’s not a Halloween Party without a bloody photo booth. Killer Costumes, Spooky Decorations, Bewitching Halloween Desserts, a Viciously Competitive Scavenger Hunt, and an Absurdly Fun Donuts-on-a-String Eating Race made for an Insanely Fantastic Halloween Party. You can see the party in action. Video created by our Social Media and Marketing Project Incubator student Ane Murua. United Mint Campus students about to catch some waves in Zarautz. From Zarautz to San Sebastian we got our surf on. For the best places to surf in the Basque Country read our blog post Surfing The Basque Country. UMC video journalist intern checking her sound before her interview with Lifehack Bootcamp CEO Carey Gjokaj. From Jazzaldia to Shakespeare In The Park to Peace art installations it was an enriching experience to be in the 2016 European Capital of Culture for the Summer. Our favorite highlight from the Summer is the moment when our UMC video journalist intern got her first International Press Credential at the San Sebastian Classica (pictured in the post’s cover photo). Shoutout to Galerna Studio (pictured) – our hosts in San Sebastian – where our first students got to film at the hippest studio in San Sebastian, got their Lifehack on, and cut their teeth on writing original creative briefs. Lifehack Bootcamp Head Trainer, Demir Gjokaj, illustrates a point about time and money. 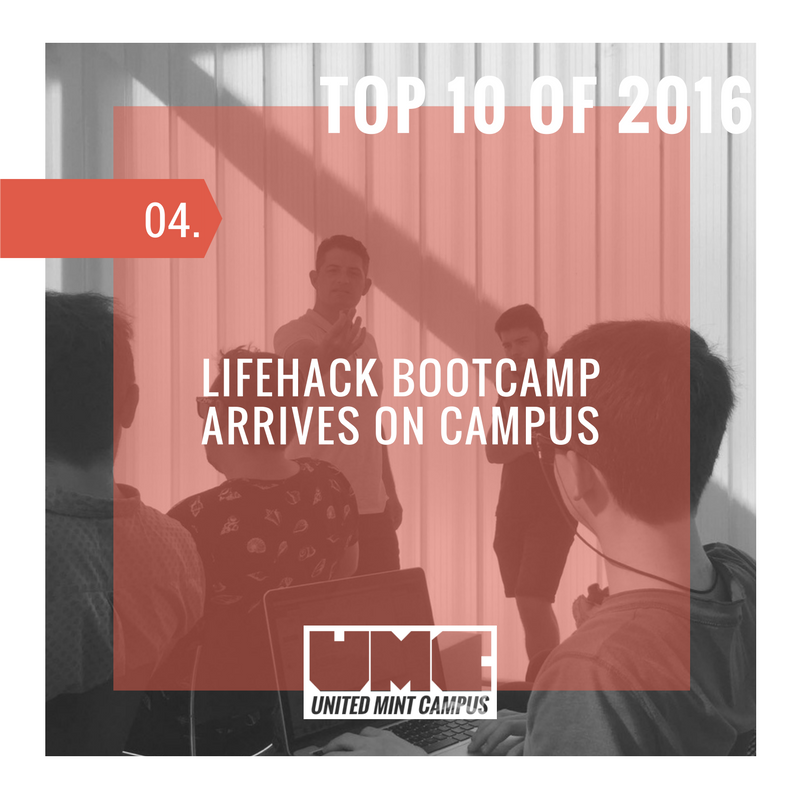 Having our celebrity Lifehack Bootcamp productivity coaches spend 3 months on campus creating and delivering a first-in-world productivity skills program designed for students was a great thrill, a huge success, and a double dose of fun. 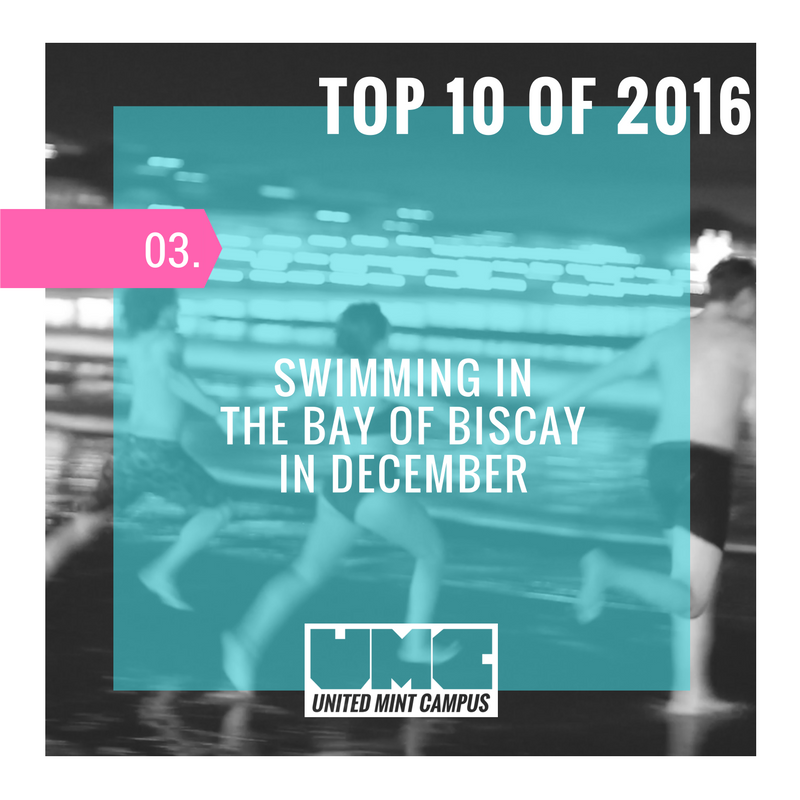 UMC students show no fear and run into the Bay of Biscay in December. A farewell swim in the Bay of Biscay on a beautiful night in San Sebastian made for a memory that will never be forgotten. With the most stunning location in the entire city, balconies and dozens of windows overlooking TWO classic plazas, UMC’s Project Incubator made for a thrilling destination for both students and staff. 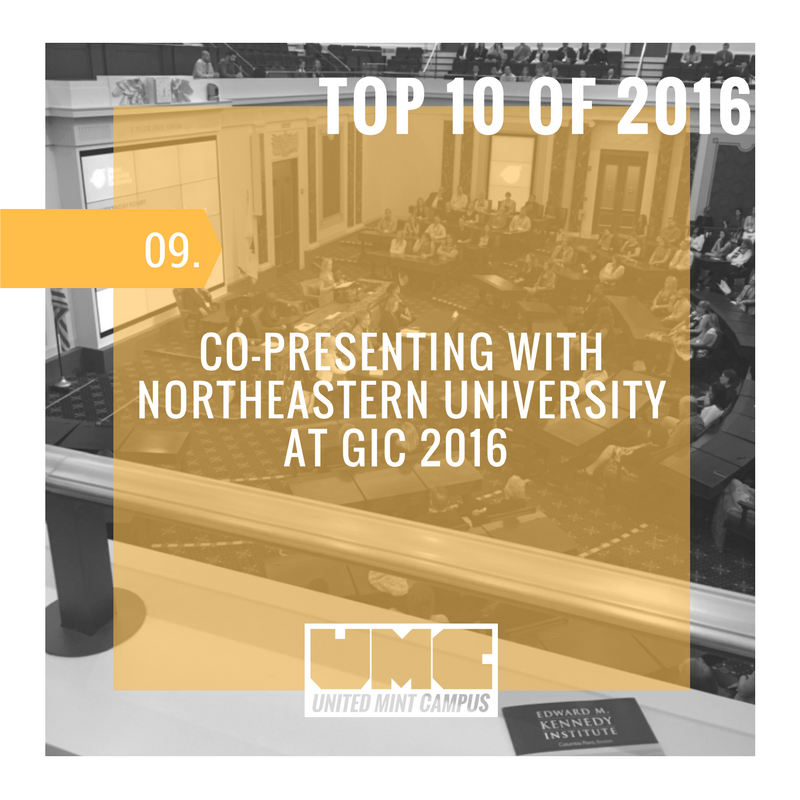 The first global higher education program to put hands-on real world projects at the heart of campus. The first global higher education program to begin with an immersive productivity skills bootcamp. The first global higher education program with a LEARN – WORK – PLAY initiative, helping students find the balanced path to meeting their goals. At United Mint Campus, students don’t have to wait to make an impact. 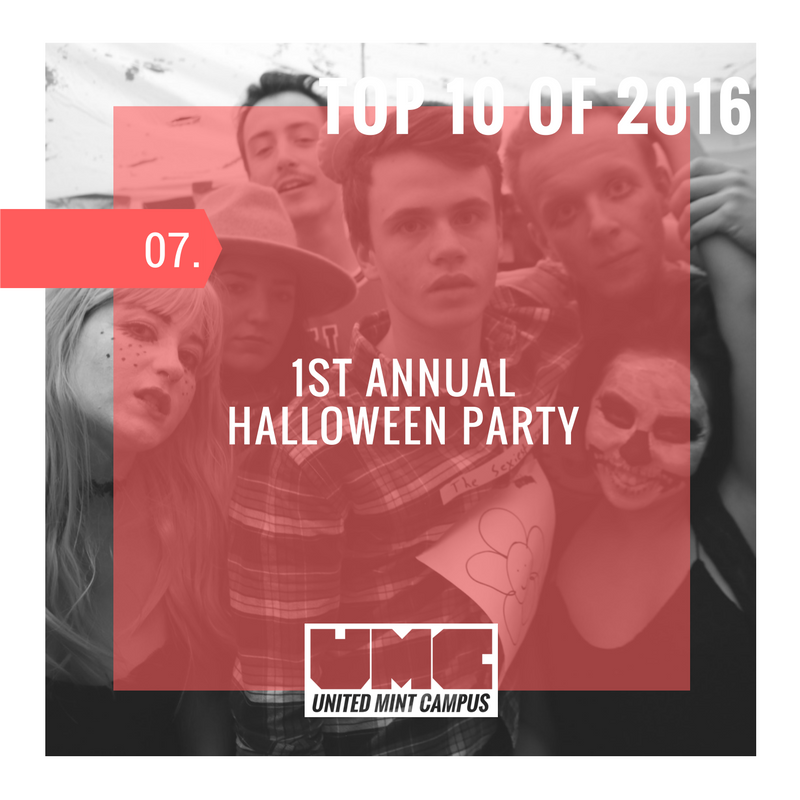 At UMC, students Mint Their Life starting on day one!